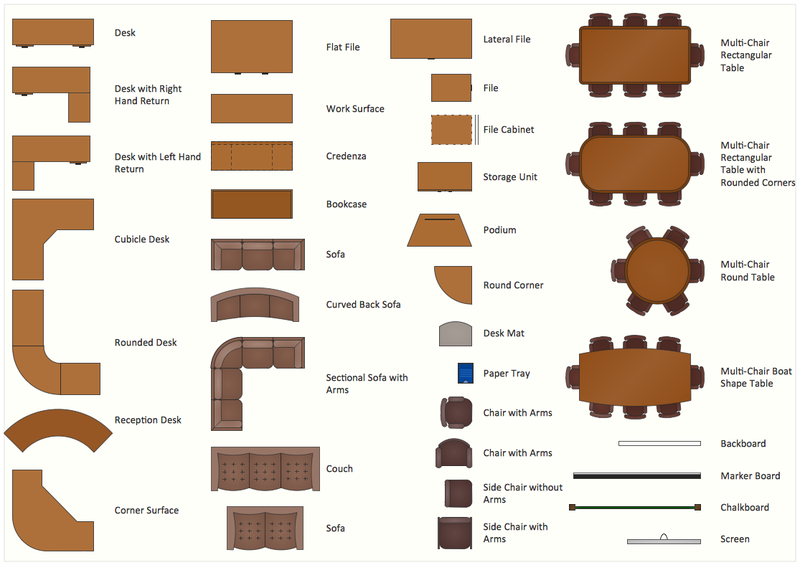 The vector stencils library "School layout" contains 19 symbols of classroom furniture and educational equipment. 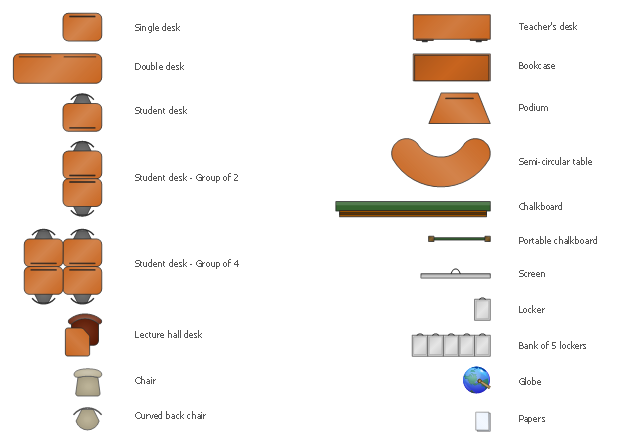 Use it to develop the school interioir design floor plan, furniture and educational equipment layout of classroom or training office using the ConceptDraw PRO diagramming and vector drawing software. 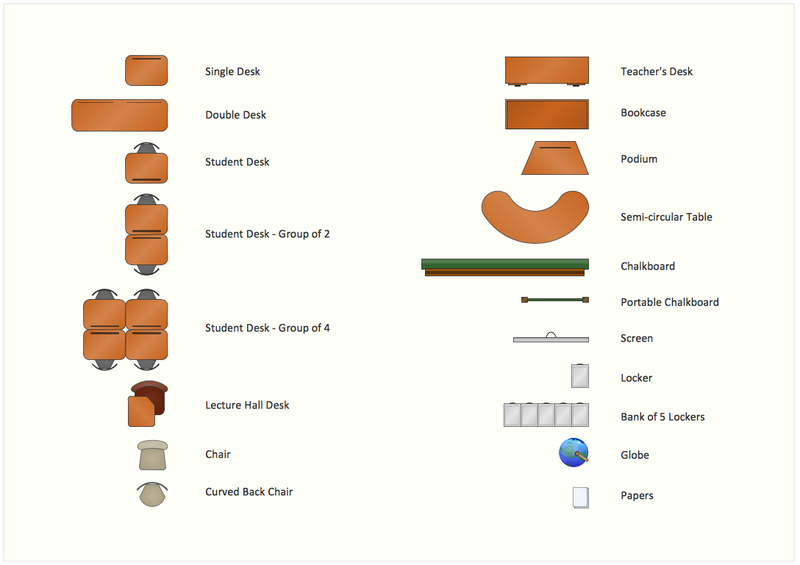 "Traditionally, classrooms have had one setup: straight rows of desks facing the front of the classroom.